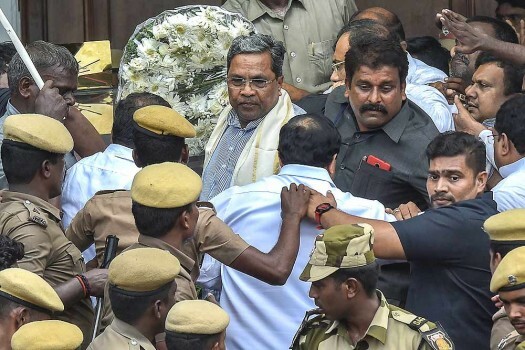 Karnataka former Chief Minister Siddaramaiah after paying his last respects to DMK chief M Karunanidhi, at Rajaji Hall in Chennai. 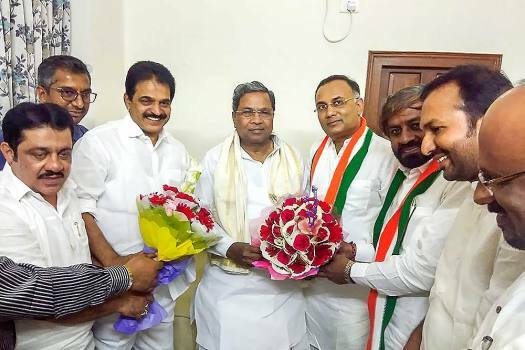 KPCC's newly-appointed President Dinesh Gundu Rao (R) with former Karnataka chief minister Siddaramaiah during a ceremony to take charge of the office, in Bengaluru. 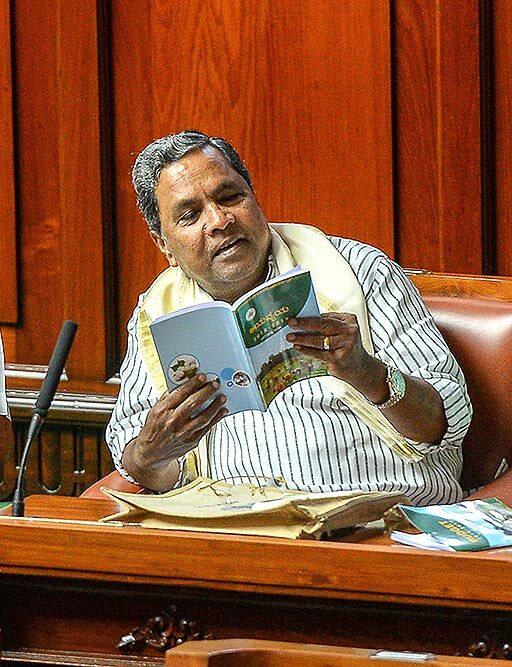 Former Karnataka chief minister Siddaramaiah looks into a copy the state budget 2018-19 which was presented in the Assembly by Chief Minister HD Kumaraswamy, in Bengaluru. 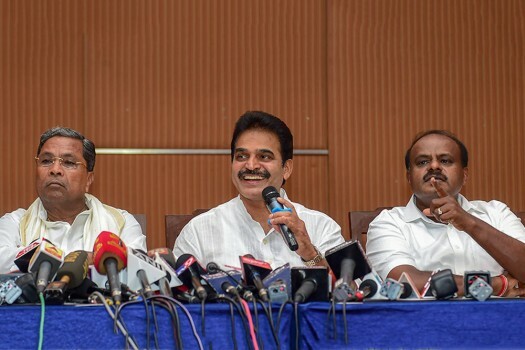 Karnataka Chief Minister H D Kumaraswamy (R), Coalition Co-ordination Committee Chairman Siddaramaiah (L) and MP K C Venugopal during a press conference, in Bengaluru. 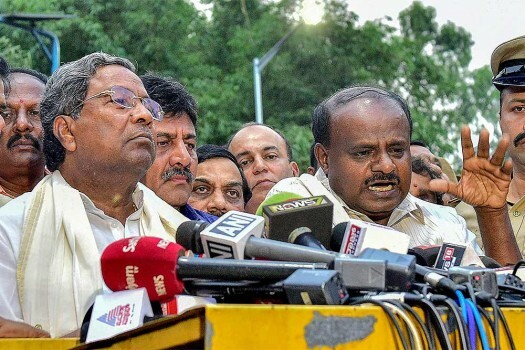 Outgoing Karnataka Chief Minister Siddaramaiah and JD(S) President HD Kumaraswamy address the media after a meeting with Governor Rudabhai Vala in Bengaluru. 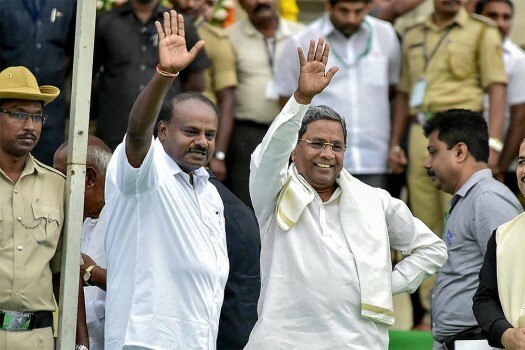 Karnataka Chief Minister Siddaramaiah shows his ink stained finger after voting in the Karnataka Assembly elections 2018, at Hundi village in Mysore. 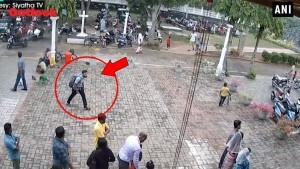 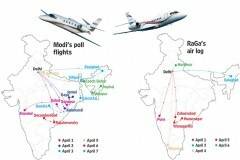 The incident had further soured India-Pakistan relations with India avenging the killing with airstrikes on the terror camps inside the Pakistan territory in February. 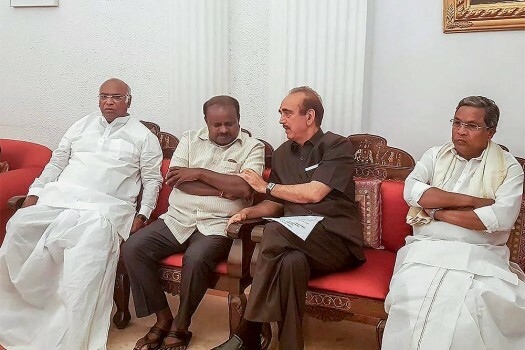 The Tamil Nadu Congress unit on Saturday urged its national president Rahul Gandhi to contest from the southern state for the April 18 Lok Sabha elections. 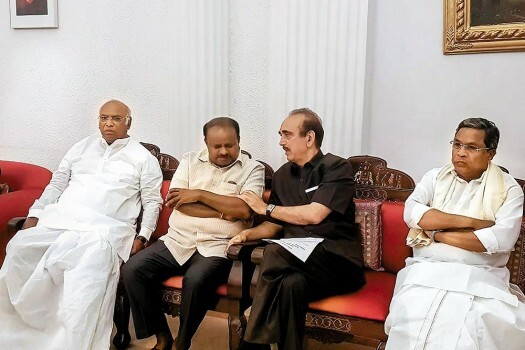 They said he was first proposed as the next prime minister from their state by the DMK. 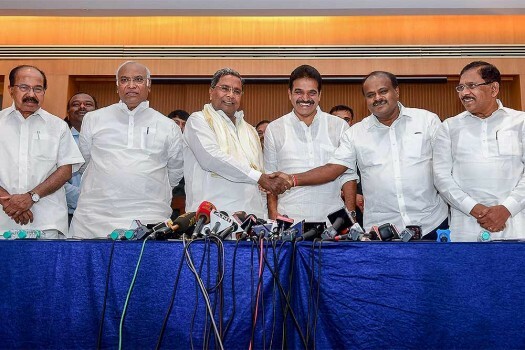 The BJP's tweet was in reference to Siddaramaiah losing the state Assembly election in May 2018 from Chamundeshwari in Mysuru to Janata Dal-Secular's (JD-S) G.T. 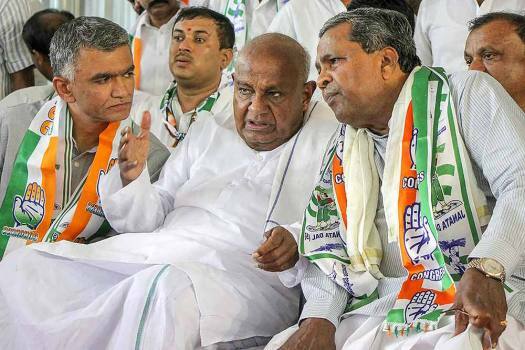 Deve Gowda. 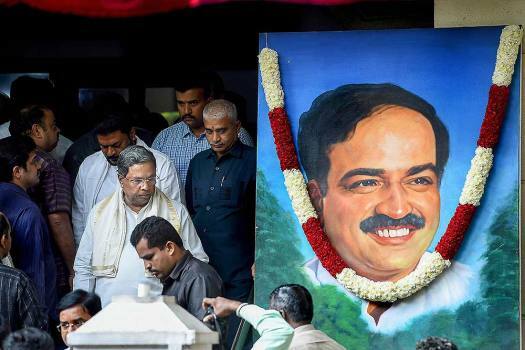 Briefing reporters after the CLP meet, Siddaramaiah said he would meet the Assembly Speaker Ramesh Kumar and urge him to take action against Ramesh Jarkiholi, Umesh Jadhav, Mahesh Kumathali and B Nagendra. 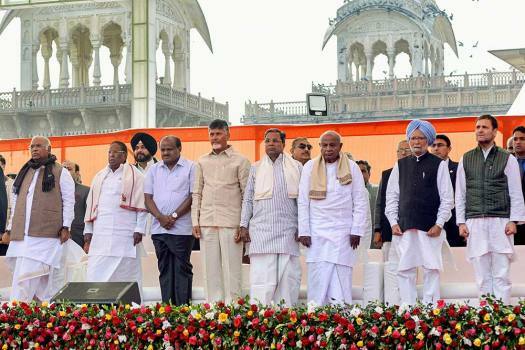 Chief Minister H.D. 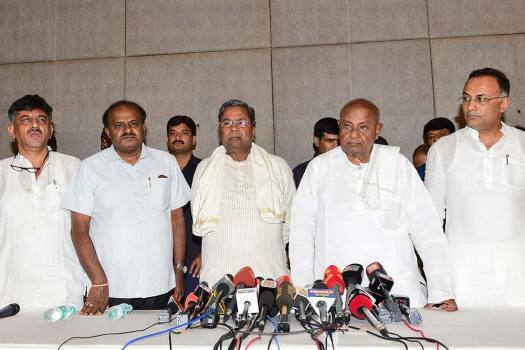 Kumaraswamy of the Janata Dal-Secular (JD-S) is scheduled to present budget for the next fiscal (2019-20) on Friday. 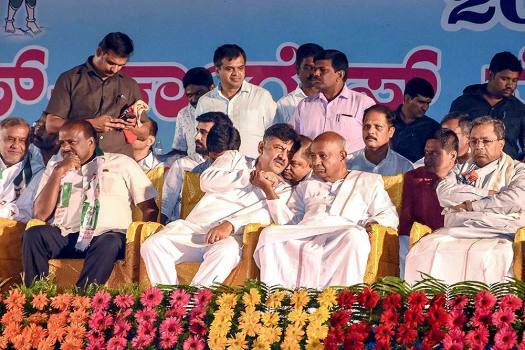 Visibly agitated by the woman's questioning, the former Karnataka Chief Minister Siddaramaiah quickly snatched the microphone from her and along with it pulled a section of her 'dupatta' and forced her to sit down. 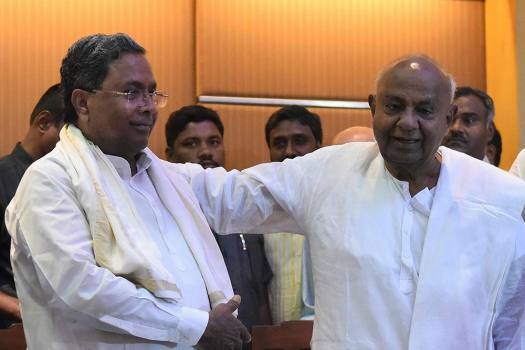 In June last year, Siddaramaiah was in the eye of a controversy after the then minister K J George allegedly gifted him a Toyota Land Cruiser with fuel coupons for a year. 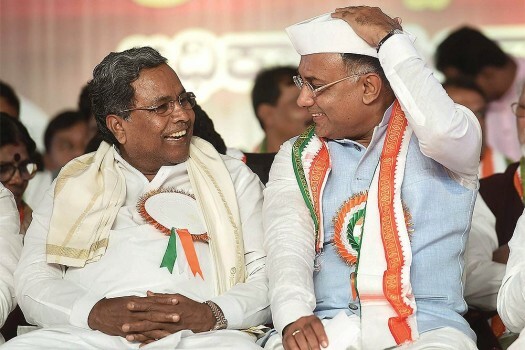 "The BJP is indulging openly in horse-trading and is trying to bring down the (JD-S-Congress) coalition government by hook or crook," Congress state unit president Dinesh Gundu Rao told the media in Bengaluru. 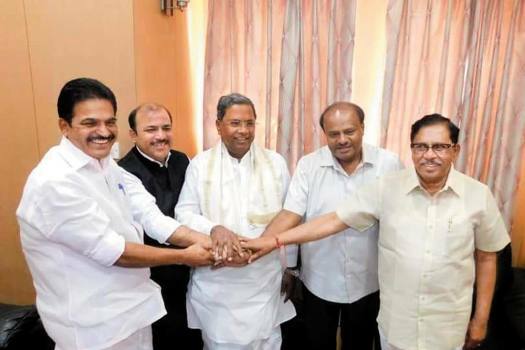 Congress leader in the Lok Sabha Mallikarjun Kharge, Siddaramaiah, AICC general secretary K C Venugopal and state leaders were present at the meet. 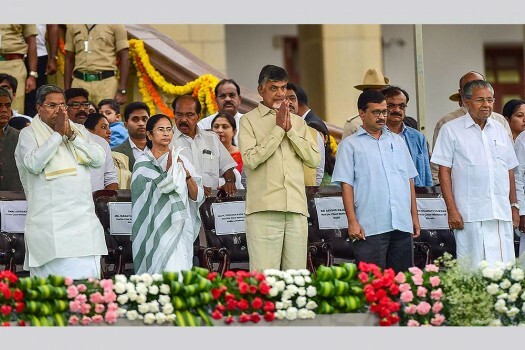 It was a state with a strong anti-north politics. 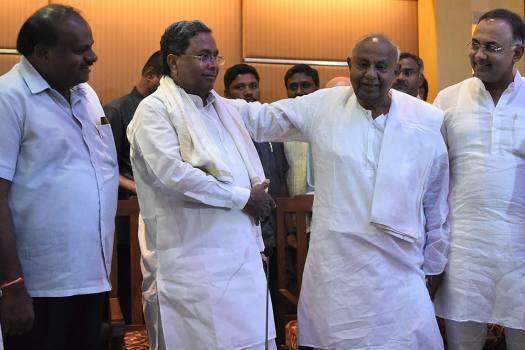 But Karnataka now opens the doors to the south for the BJP—giving a fillip to its 2019 prospects.